Thinking about employing a Tree Surgeon in Thames Ditton? GraftinGardeners have years of experience working in tree care, making us one of the best tree companies to use in London and Surrey. We have three teams of arborists that perform all types of tree surgery services and always strive to get perfect results on every job. We have tree surgeons in KT7, London and surrounding areas and are only a phone call away. Contact us now to have a tree specialist inspect your trees. 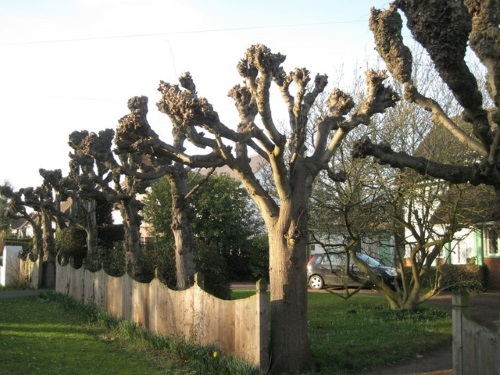 GraftinGardeners are professional tree surgeons in Thames Ditton and operate in all surrounding areas. Our tree company provides a complete tree surgery service. All our staff are fully trained to perform all aspects of tree surgery and have the relevant qualifications as well as the latest equipment. If you require tree surgery in KT7, or any other local area, our tree specialists can help and could visit your premises the same day. Preforming felling on a tree is dangerous work and can cause lots of damage or even death if performed incorrectly. 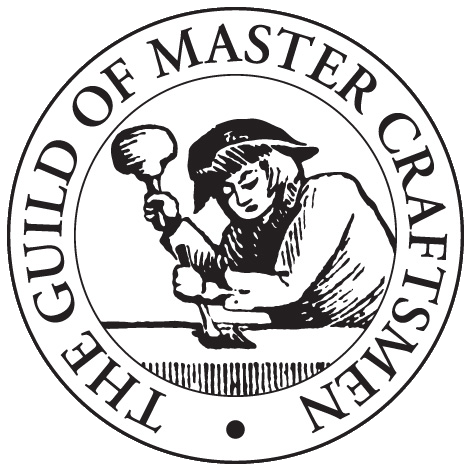 Knowing the correct cuts is essential, for both sectional and straight felling. Our tree surgeons are experts at removing unwanted trees and will take yours down without damaging your property or its surrounding and always leave the site tidy. We always take trees down safely, in a controlled manner, while following UK safety felling laws. Call now, to have one of our tree surgeons supply you with a free quote. Never attempt to prune your own trees unless you have a good understanding of tree maintenance and care. It is always advised to seek the advice of a professional pruner first, as there are things to consider, to ensure the tree remains healthy after trimming. Our tree surgeons look for things like age, size condition, shape and character as well as species, to determine the best course of action and suitable pruning methods. We trim and shape trees to the highest possible standards, ensuring the tree remains well balanced and healthy and always work to the guidelines set out in the (BS 3998). Old, tough and even stubborn stumps are no match for our tree surgeons and their stump grinding equipment. If you’re having trouble removing an awkwardly placed stump, why not let us do it for you? 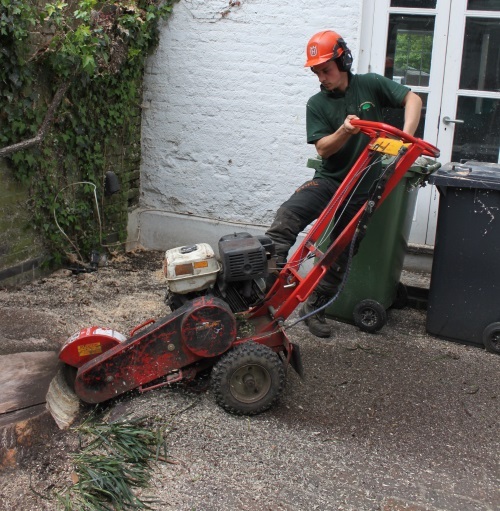 We can remove any tree stumps, regardless of where there situated, either using hand tools or our grinder there is no stump too tough for our grinder. After we take the stump out, our boys will fill it in with soil or mulch (or a composition of your choosing) and compact and tidy the surrounding area. Severe weather and big gusts of wind can damage trees and make them fall down. You should always maintain your trees properly, to ensure they are healthy and strong, so you don’t get left with a big repair bill! We can remove fallen trees by cutting them up and removing the leftovers, helping you to get things back to normal as quickly as possible. Our emergency tree service can be called on 24 hours a day, 365 days a year, and deals with all tree emergencies. If ivy is causing problems for your home or property, GraftinGardeners can help. We remove unwanted and damaging ivy all the time and could have yours gone within the day. All our arborists are trained to perform ivy and climber maintenance and ivy removal operations, so we offer a complete solution, no matter your requirements. We can trim ivy and train it to grow where you want it, not where it’s causing problems. Call today to find out more information. If you need help to plant a new tree in the garden (or relocate an existing one), why not let GraftinGardeners help you? 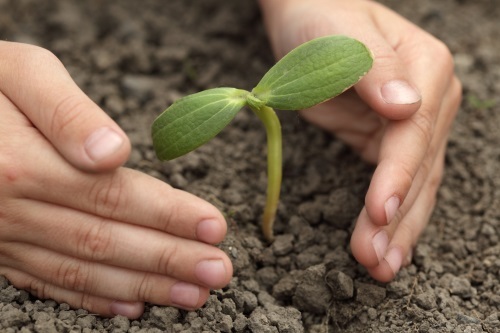 Before we learned to become tree surgeons, we worked in the gardening business, so naturally we have an excellent understanding on tree management and cultivation. We can advise you on what species to pick and where best they would be located. We even offer free tree aftercare advice, so contact us today if you want to find out more. Do you require a professional hedge trimming service? Our arborists not only handle tree work but all types of hedges as well. We can skilfully cut, trim and shape any shrub, from small box hedges to hedge rows, all the way to large conifers and beyond. Take the stress out of your day by letting us come in and do the hard work. We guarantee to leave you with perfectly neat and straight hedgerows, every time. Pollarding is performed on trees to promote new growth and denser foliage and is also good way to keep them from growing out of control. It is a heavy form of pruning where all the upper branches are cut off and is used on species such as poplar and willow. Not all trees can tolerate these levels of stress, so it is wise to leave this job to a professional tree surgeon and they will be able to determine what type of pruning each species requires.